ARLINGTON, VA—Explaining that readership of science-related articles and discussion of scientific concepts tends to surge at such times, a report released Thursday by the National Science Foundation confirmed that Americans are most interested in science when the moon looks different than normal. “According to our findings, citizens are never more engaged by scientific disciplines than when the moon does not look like it regularly does—for example, when it becomes big or bright,” read the report in part, which added that while the nation’s interest in science is typically fairly minimal and consistent when the moon is its usual size and color, as soon as these properties of the moon differ in a noticeable way, millions of Americans begin displaying a desire to learn and share scientific knowledge. 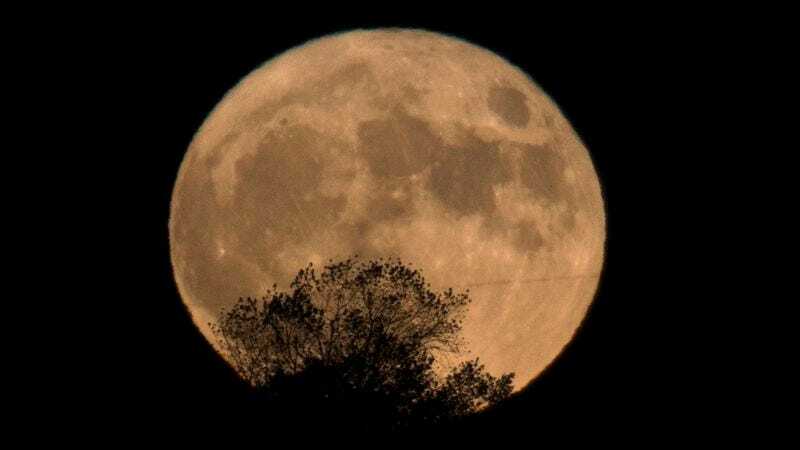 “The moon is ordinarily white and relatively small, and science is not on most people’s minds. However, when the moon is no longer white and small, and instead happens to be large, reddish, temporarily darkened, or any combination of those things, people generally want to know more about the methodological study of natural phenomena. Of course, once the moon goes back to the way it normally looks, interest in how the universe works drops back to baseline levels.” The report went on to mention that major changes to the Earth appeared not to garner Americans’ interest at all.